Chaplin's at Launceston. | Launceston Then! 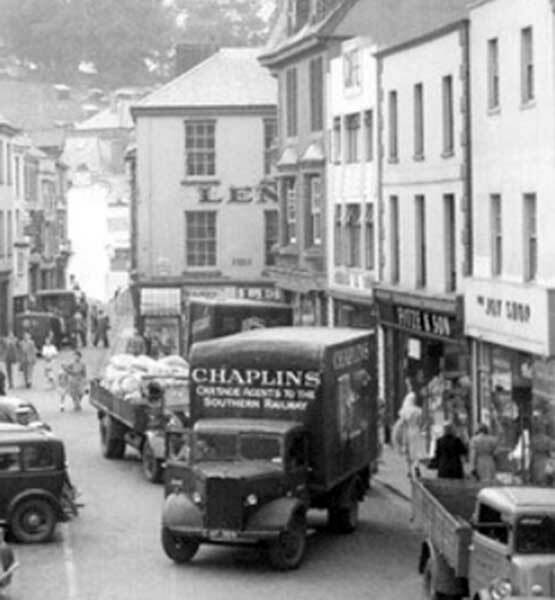 Chaplins lorry delivering to the town centre in 1949. For many years Chaplin’s (Chaplin and Horne) were the cartage agents for the Southern Railway Company, collecting the goods sent by rail from the station and delivering to addresses throughout the area. They started with large horse drawn wagons and many a time the young driver would be seen standing up behind the shafts to drive the heavy loads up St. Thomas Road. In 1941 one of the horse drawn wagons, whilst coming along Tredydan Road, took fright at the sound of a train in the station and bolted hitting a young boy, John Wilson, who subsequently died of his injuries (full report here). The move from horse drawn wagons took place after the Second World War. 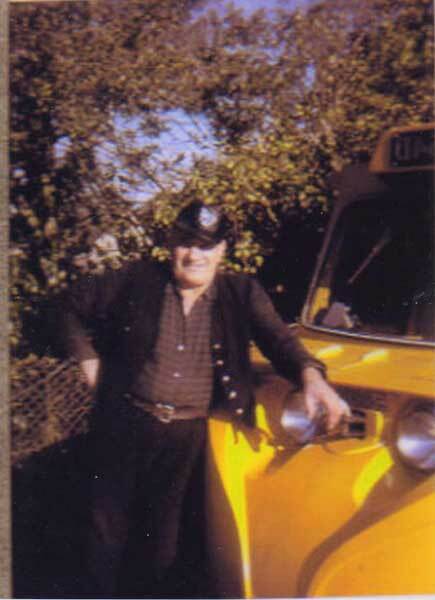 During the late 1940’s and into the 1950’s the drivers were Jumbo Jordan and Sid Ball who was usually the artic driver. With the nationalisation of the Railways, so to did the road carriage side of the business including Chaplin’s, and in 1955 these services were amalgamated to form a division of British Road Services, known in its shortened version of BRS Parcels. National Carriers was the name given to the amalgamated companies that concentrated on rail transport, while BRS Parcels became Roadline. It is then that the familiar yellow liveried lorries were often seen around Launceston’s roads, with Archie Goodman in his three wheeled Scammell Scarab (below left).